Colombia’s government peace negotiators on Monday slammed the Marxist-inspired ELN rebels for jeopardizing the ongoing peace process after they claimed responsibility for last week’s bombing outside a bull ring in the capital. The rebels issued a statement on Sunday admitting they were the perpetrators of the bombing at the Santamaria bull ring in the neighborhood of La Macarena, Bogota that left one dead and 25 people injured, much to the disgust of the government. 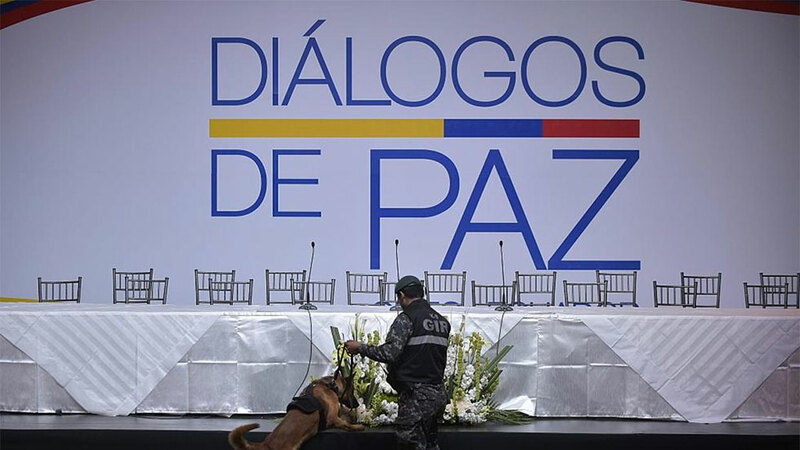 Both sides are currently negotiating an agreed framework for peace in the Ecuadorian capital, Quito with a bilateral ceasefire seen as essential in order for significant progress to be made. Restrepo said that the only way to achieve a bilateral ceasefire with the ELN is through de-escalation but the ELN have continued to engage in attacks. “The more repudiable terrorism that continues to be committed on behalf of the ELN, the further we are away from reaching a bilateral ceasefire in Quito,” cautioned the government official on his Twitter account. Additionally, the group had been accused on Sunday of attacking a governor’s vehicle in the province of Norte de Santander, and are also suspected to having orchestrated the kidnapping of Cristo Humberto Cristas, the father of a Colombian mayor, earlier this week. The talks between the ELN and the government already had a number of false starts as the rebels had continued to engage in kidnapping despite the imminent negotiations. These latest attacks are likely to be a ploy to strengthen their hand in the negotiations by illustrating their continued potency. But according to Restrepo, until the ELN refrain from its “terrorist” activities, there will be no ceasefire. The Colombian government has been engaged in peace talks with the ELN in Quito, Ecuador, since February 7 in efforts to end a tangled war that has killed over 200,000 and displaced millions. The left-wing rebel group, estimated to hold around 1,500 armed combatants, has been fighting the Colombian state since 1964. The group is infamous for its use of kidnapping, extortion, and drug trafficking to finance its 52-year-long revolution attempt. In November, the government signed a peace deal with the FARC, the country’s largest Marxist rebel army.